Cambodia – the land of archeological wonders and hidden temples. But I don’t remember seeing Indiana Jones or Lara Croft relaxing on a white sand beach after a hard day temple running. 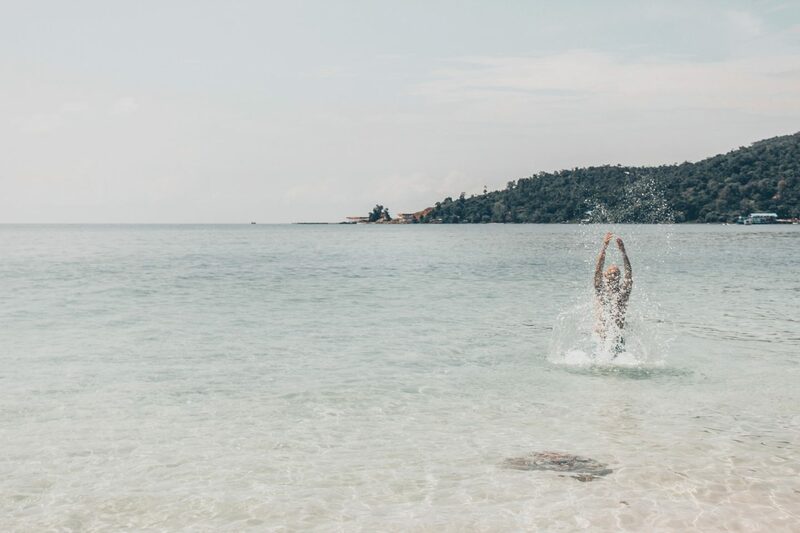 Which is odd, because just off the coast of Cambodia lies two beautiful tropical islands, complete with palm fringed beaches and turquoise waters. 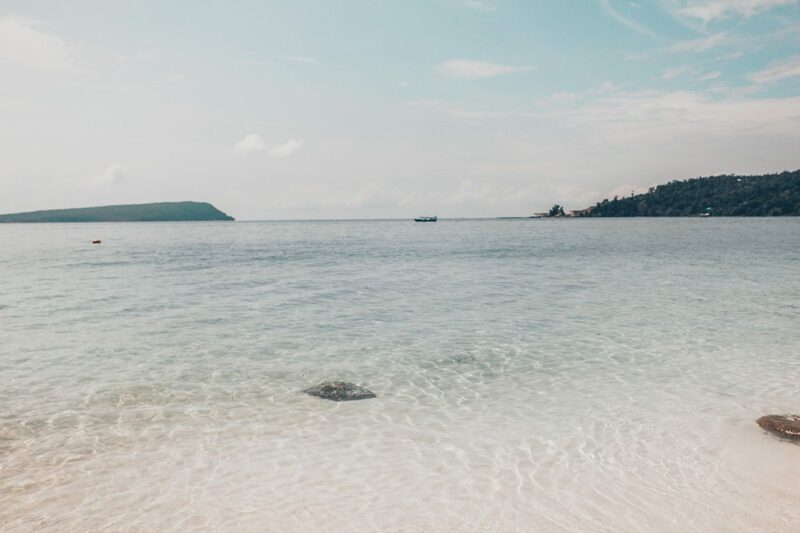 They are perhaps some of the only islands left in South East Asia where you can really feel like you’ve escaped the madness. A week on Koh Rong, the larger of the two, disappeared beneath our sun-kissed feet. The lure of island life is difficult to escape, and the days blend into each other so seamlessly that all sense of time is lost. The island is small, with very little in the way of development, although this is clearly changing. Large tracks of land have been cleared away already, the exposed mud cracking like canyons in the Cambodian heat. A few backpacker hostels dot the island, with psychedelic beach parties the name of the game. Aside from the odd hike, there is very little to do here, other than relax, eat and party like it’s 1969. It all made a welcome change from the previous 6 weeks we’d spent in Siem Reap, sightseeing and temple hopping and living in the city. To hear the ocean waves again, to walk on soft sand and to stretch my eyes to a distant horizon… it felt like a big exhale of happiness.